By Email: Click Here To Email Us. We check emails every half hour or more during working hours, so you get a quick turnaround! By Telephone: You can contact James, the Director, on 0844 5855375, or Co-Director Greg on 0844 5871630 from 9am - 5.30pm Mon - Fri, and 9am - 12pm Saturday. Please Note: Due to an increase in the amount of marketing, hoax and spam calls where the number is withheld, we no longer answer "no number" or "private number" calls. All customers are advised NOT to withold their number upon calling us, to minimise the risk of having their call rejected. It also makes it easier to distinguish customer calls. If calling from a landline, where possible, please disable any outgoing number barring before contacting us. Any company wishing to discuss follow ups, affiliations/partnerships, insurance, advertising etc, must contact James only. All other staff are not authorised to answer or action such calls. 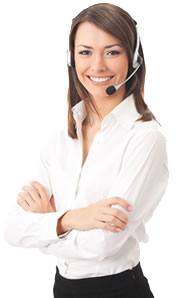 As stated in our Customer Charter, we aim to answer all phone calls within 5 rings, and emails within 24 hours or less.